An innovative high performance quad or thruster option designed to further enhance the Outer Island surfing experience. 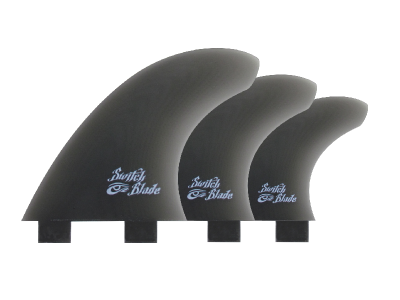 Outer Island Owner and Shaper Mitchell Rae said "Over a number of years, I made numerous hand foiled fin sets exploring the clear parallels between aircraft wing foil technology and surfboard fins. After testing them extensively in various boards and conditions, I'm satisfied we have arrived at the magic set. The tip shape is designed to minimise drag and cavitation. Using an 85/15% foil ratio, the semi vertical base delivers quick response, while the raked tip produces progressive flex which enhances control. 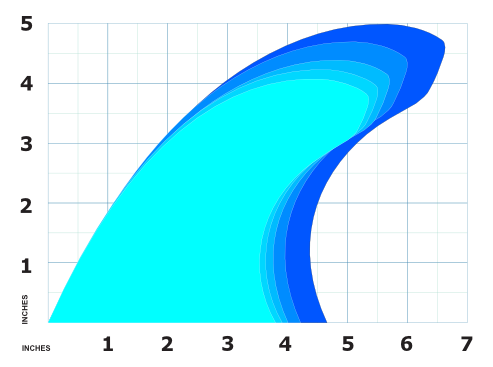 The resulting fins have far greater traction than conventional shapes, managing laminar flow more efficiently. This increased effiency allows fin size to be reduced by approximately 15%, further reducing drag whilst increasing both speed and acceleration. 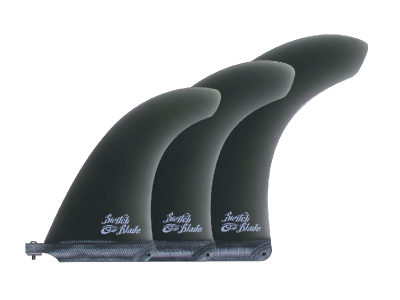 Fins Unlimited in California digitised and refined the hand foiled originals, using NACA foil design software files, the same as those used by Boeing and NASA. 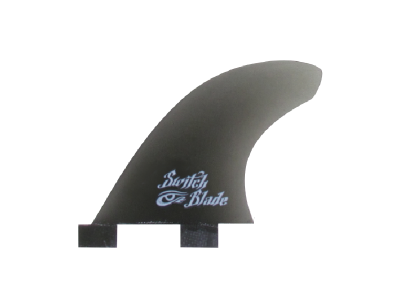 The resulting fins are precision CAD machine cut from solid bias-laid fiberglass panels. We have now tooled up with a local manufacturer and are very happy to supply a 100% Australian made product. We have produced the Switchblades design in Thruster, Quad, Longboard and Side Bite sets to suit every surfer’s needs. 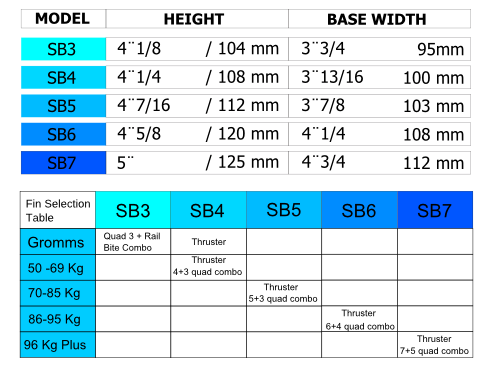 Three sizes are offered in thruster and quad sets. 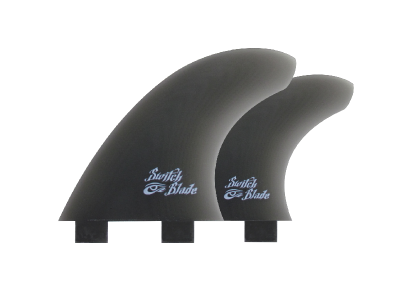 I am totally stoked to offer this exciting range of Switchblade fins for your enjoyment." For further enquiries and to discuss your individual needs, refer to the size table below or contact Mitchell Rae directly. The Surfinz "Z" Box is FCS fitting compatible. Far stronger than FCS plugs, it is a robust one piece casting that is bonded into the shape and laminated over. It has 10mm adjustment, enough to fine tune your fin performance. It is a robust one piece casting that is bonded into the shape and laminated over.